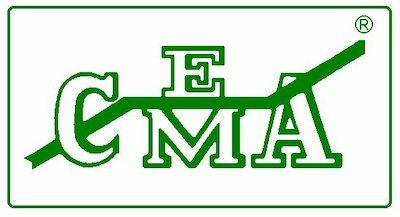 CEMA MEMBERS in the NEWs is out! Read about Douglas Manufacturing Co. getting awarded two patents! 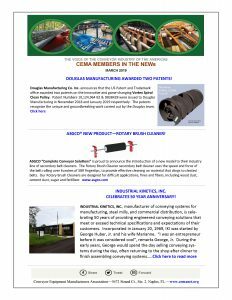 ASGCO announces new Product release, Industrial Kinetics, Inc. celebrates their 50th Anniversary, Eriez has selected a new 2018 Merwin Sales Award recipient, plus new promotion for Eriez employee and PEER Bearing introduces Maintenance-free FabXTREME BEARINGS!